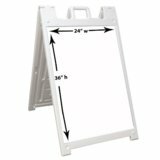 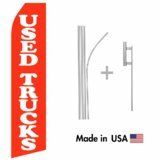 Bestdealdepot A-Frame Signicade Sandwich Board with Two 24"x36" Writ..
Legs can hold sand to weigh unit down. 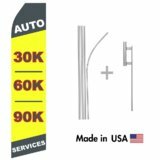 Double sided to display 24"w x 36"h messages at any time. 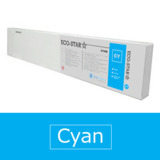 Glossy white plastic writing surface is designed for use with wet-erase or liquid chalk markers. 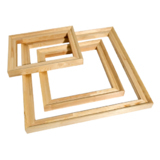 Folds for storage and portability. 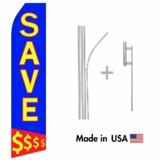 This portable sign is double sided to maximize advertising space and promote to customers coming from either side of the unit. 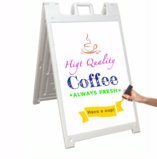 The write-on sandwich board has a glossy white display surface for liquid chalk pens and wet erase markers. 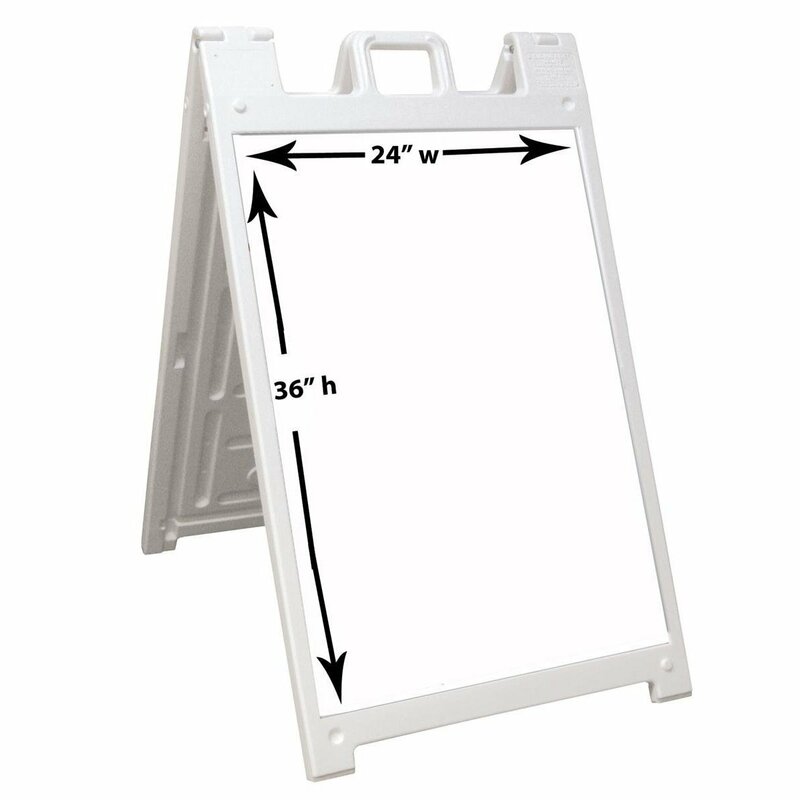 This portable sign folds down to make storing the model extremely easy. 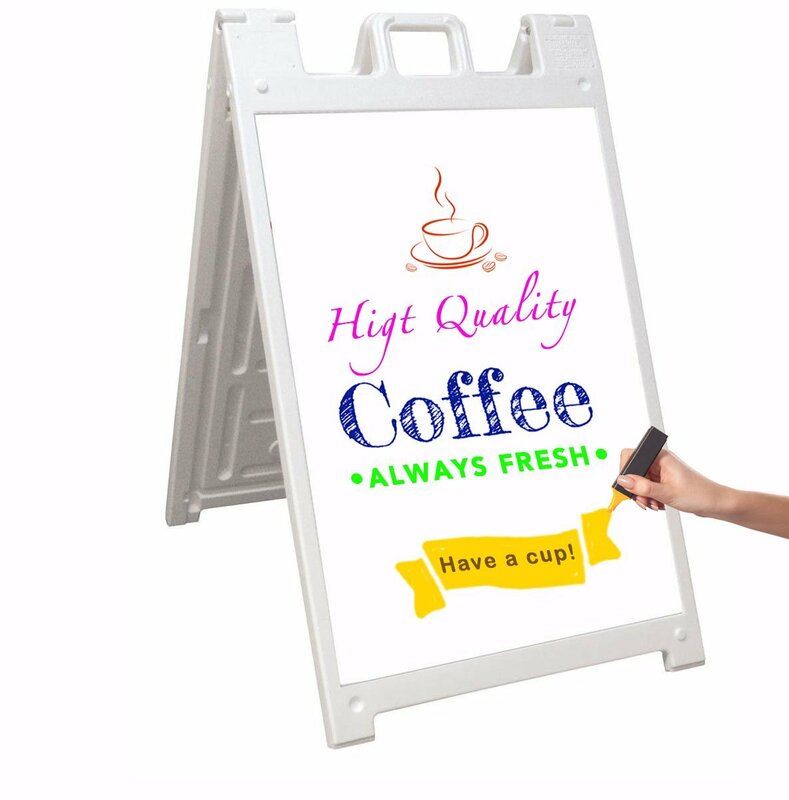 The wet erase sidewalk display allows users to easily change or alter the messages with a damp cloth. 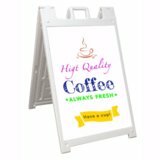 This portable sign has a molded handle that lets people easily carry and reposition the advertising tool wherever it is necessary. The write-on sandwich board has a durable plastic exterior allowing for outdoor use.